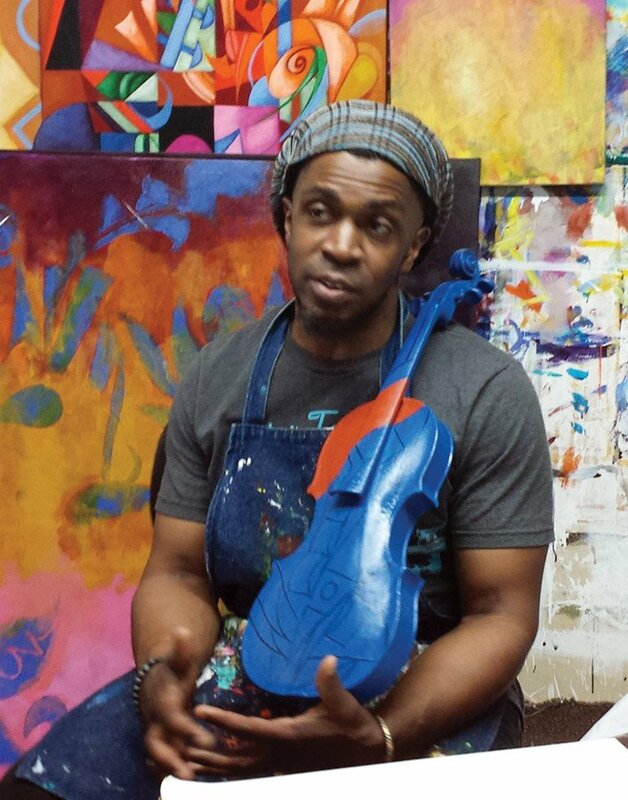 Their musical lives may have ended, but five old violins have found new artistic vibrancy in “MusikArt,” a collaboration between the Cincinnati Chamber Orchestra and the Wash Park Art Gallery. 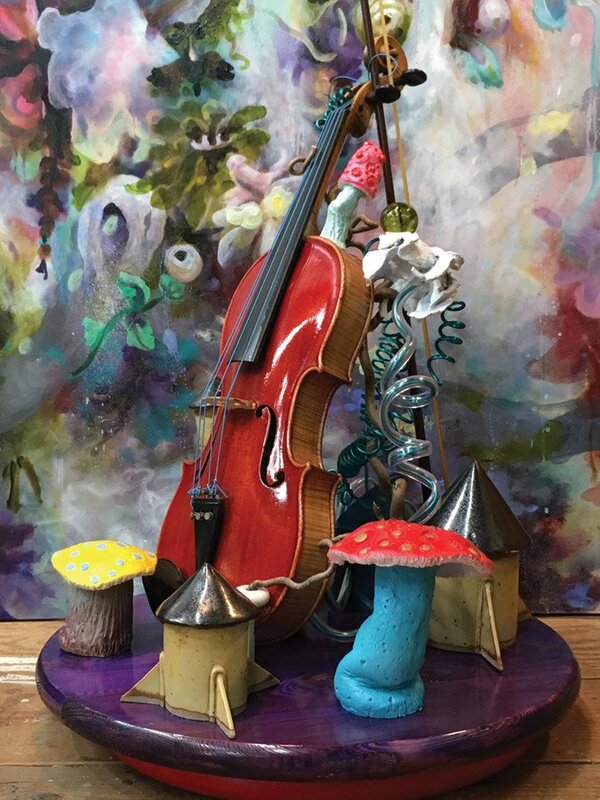 The violins have been transformed by local artists into visual representations of CCO’s 2018 Summermusik Festival season. Each instrument will be sold via auction from July 13 through Aug. 25, with 100 percent of the sales benefiting CCO. 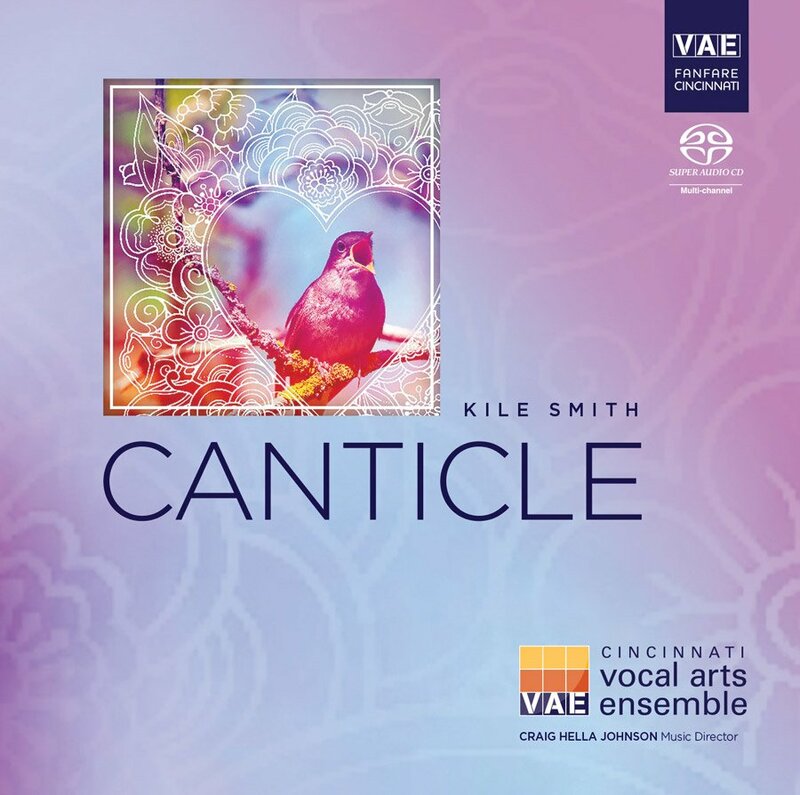 The collaboration was the brainchild of Eckart Preu, CCO music director, who is known for his belief in presenting neglected works in the symphonic repertory. 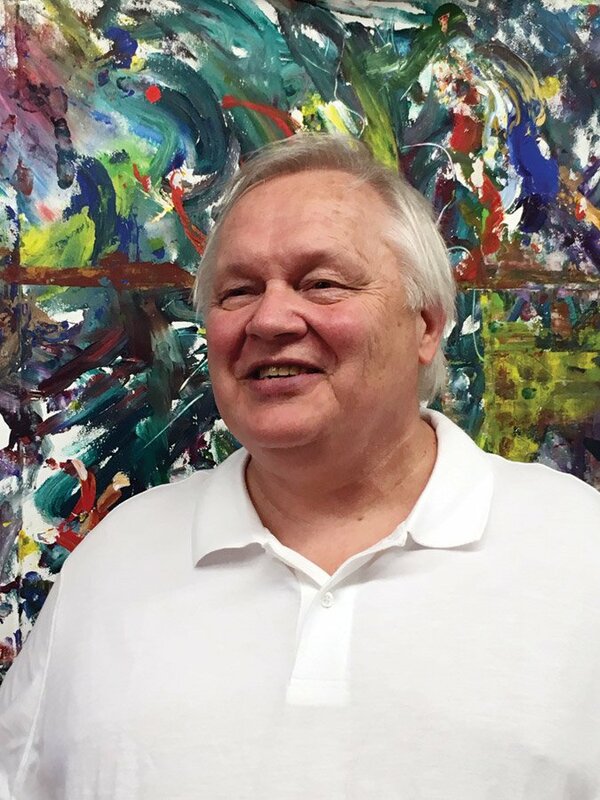 His embrace of the “MusikArt” project shows an empathy for vintage violins, all of which were donated by Buddy Roger’s Music, as well as a love of visual art. 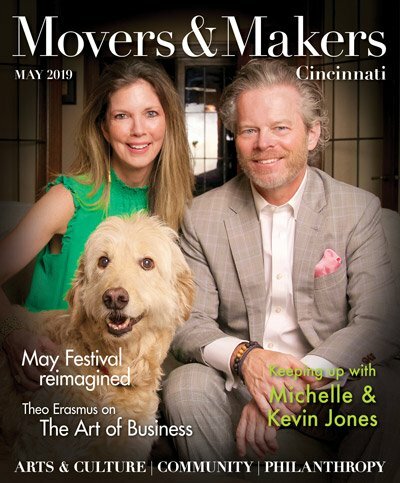 To implement the project, CCO tapped longtime partner Holly Doan Spraul, owner and curator at Wash Park Art, who skillfully paired prominent local artists with the concert themes she thought would most inspire them. 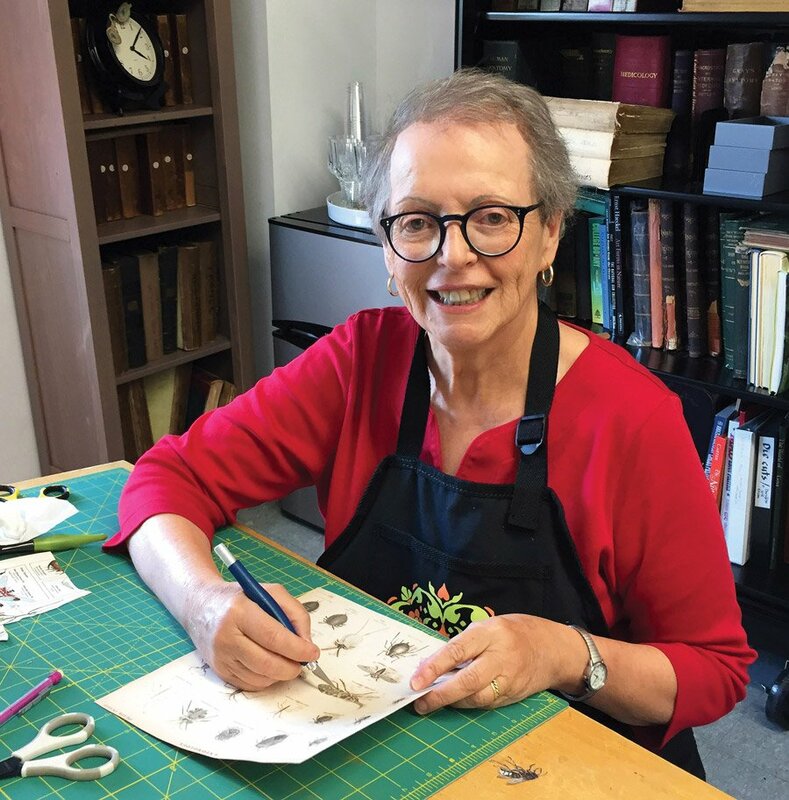 “Guitar with Violin in the Garden” is matched with the concert “British Invasion” (Aug. 4, SCPA) and “An Afternoon with Jane Austen” (Aug. 5, Taft Museum). 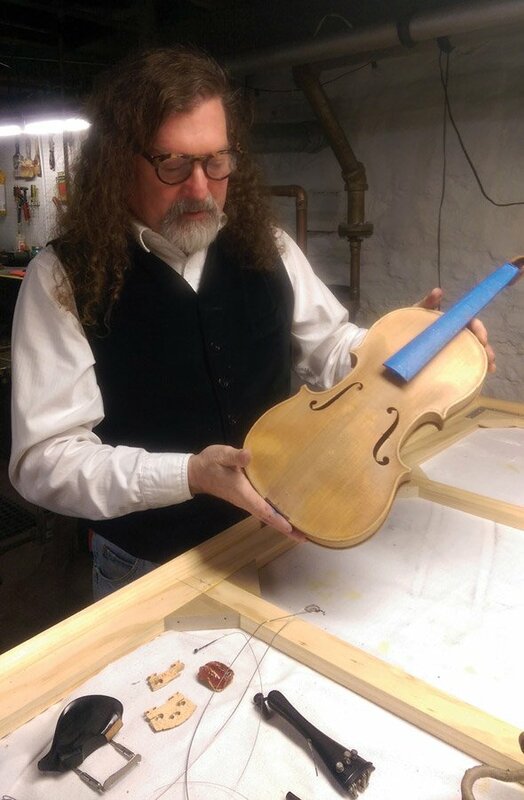 Cox listened to the British band The Who while working on the front side of his violin, and researched Victorian England before addressing the back side, stepping beyond his “cubist/geometric aesthetic” and pushing toward an antique still life motif. 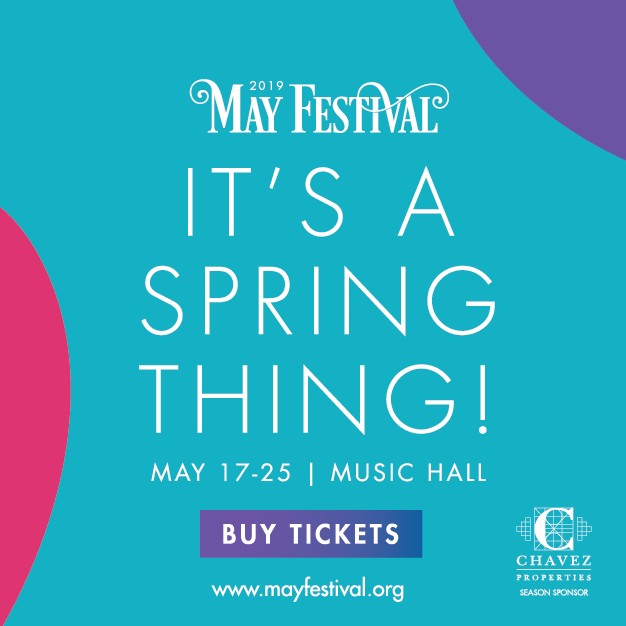 Asked to capture the expanse and spirit of the Summermusik season, Pearce wrapped her violin with summer flowers, imbuing it with pastels and the meditative feel of a summer’s walk with nature. A collage artist, Pearce chose from “full-page, vintage prints of antique illustrations from one of the most beautiful books on seasonal flowering plants: ‘Hortus Eystettensis.’ ” Also gracing her violin are birds, a frog, insects and a wily snake, which appears to emerge from one of the instrument’s sound holes. 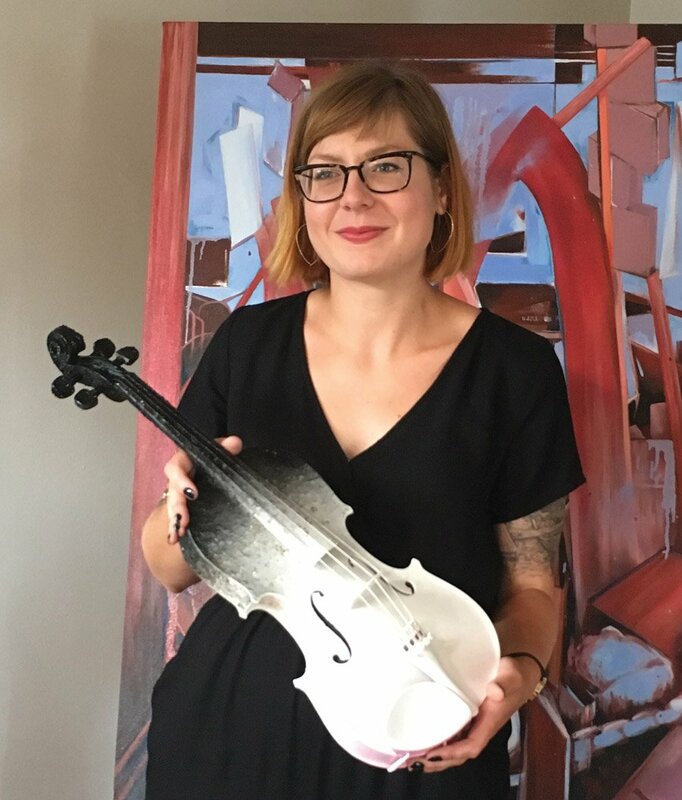 “Le Violon Rouge!” was created for “Voyage of the Red Violin” (Aug. 18-19, SCPA), a concert that evokes a film inspired by a legendary Stradivarius. Towhey’s delightful work is constructed from wood, ceramics and found objects and finished with oil-based paints and custom-made stains. 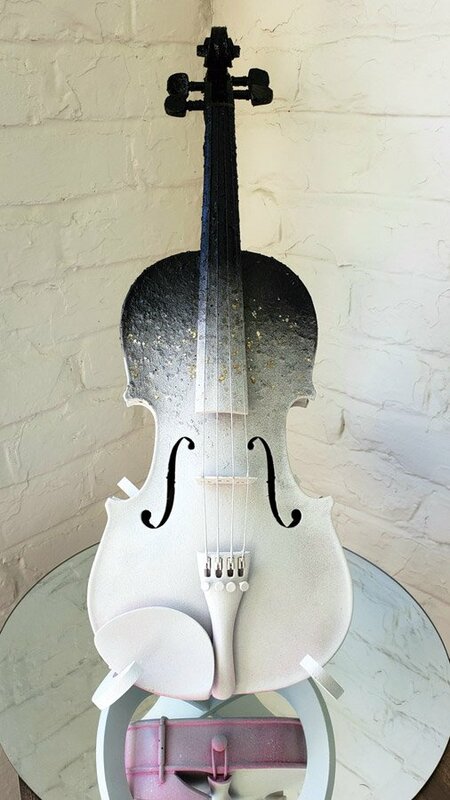 A painter who also creates whimsical sculptures in his woodworking shop, he relished this project, particularly the art of applying finishes to the now-gleaming violin. 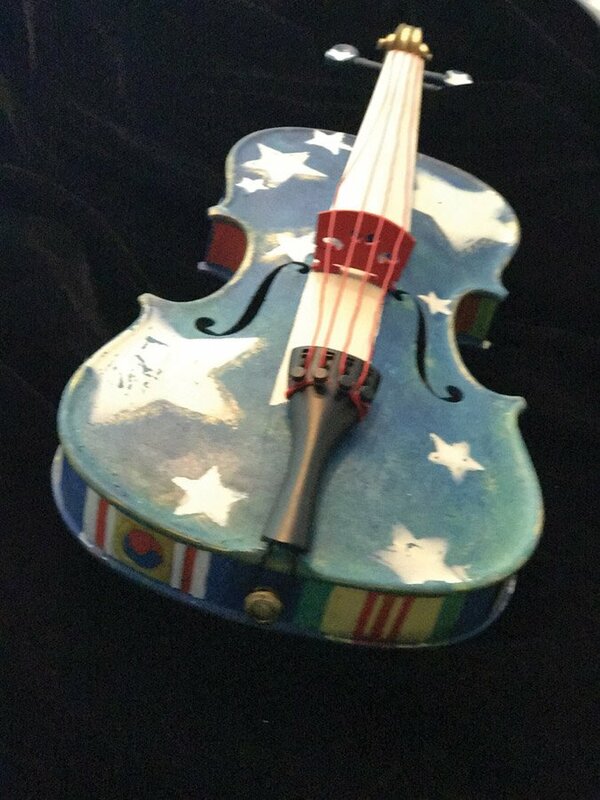 Who better to reimagine a violin for “The Hero Within” (Aug. 25, SCPA) than Laug, a Navy veteran whose work appears in the permanent collection of the National Veterans Art Museum in Chicago. “Because of the Brave” is covered with white, soft-edged stars that appear to float in a summer sky. The piece is suspended in a semicircular holder decorated with military ribbons from past and present engagements. 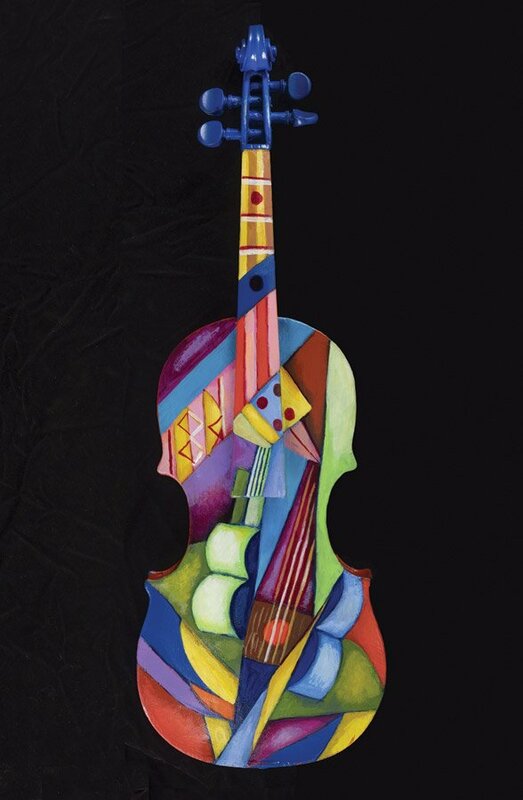 View and bid on the violins at CCO concerts, and at Wash Park Art in Over-the-Rhine and online at washparkart.com. Bidding starts at $300.